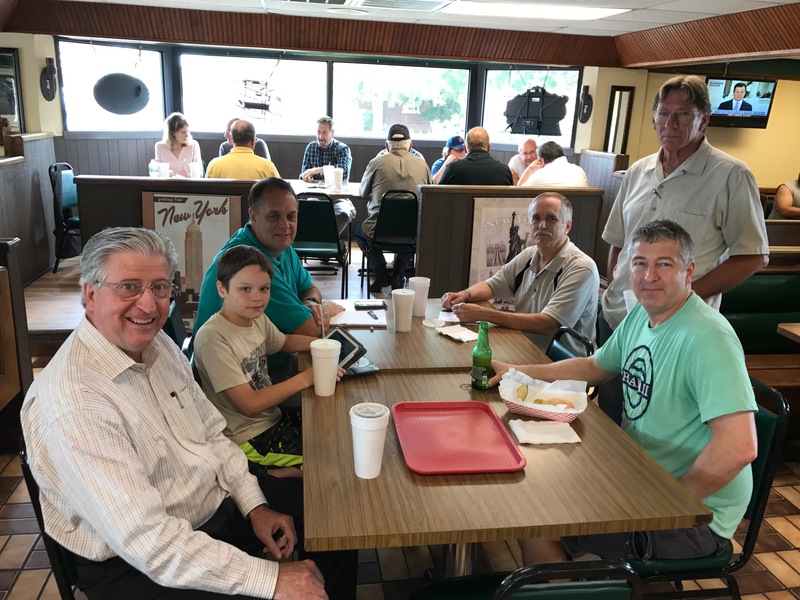 Thursday lunch at Michaels Pizza Restaurant. We were honored to have Laurel Black from the Paducah Sun eat with us. 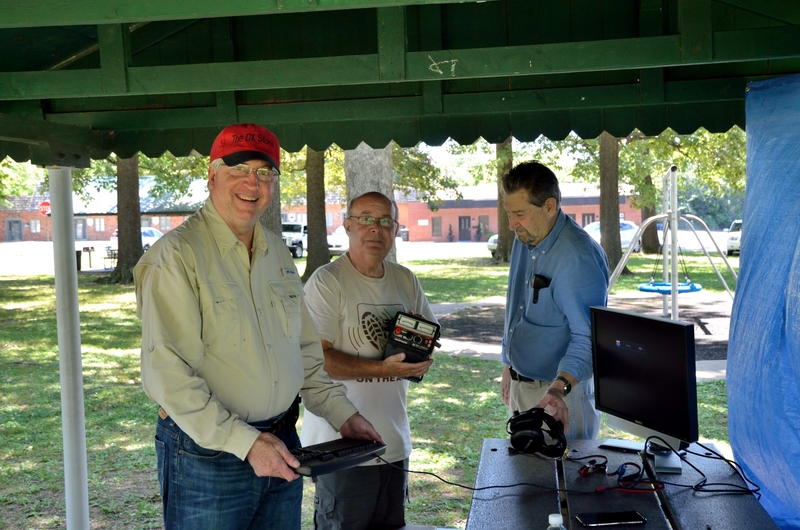 She interviewed Dave Perry, Ken Wontor, Jeff Wielgos and others who gave her excellent info about the hobby and the Field Day Event that was to follow. 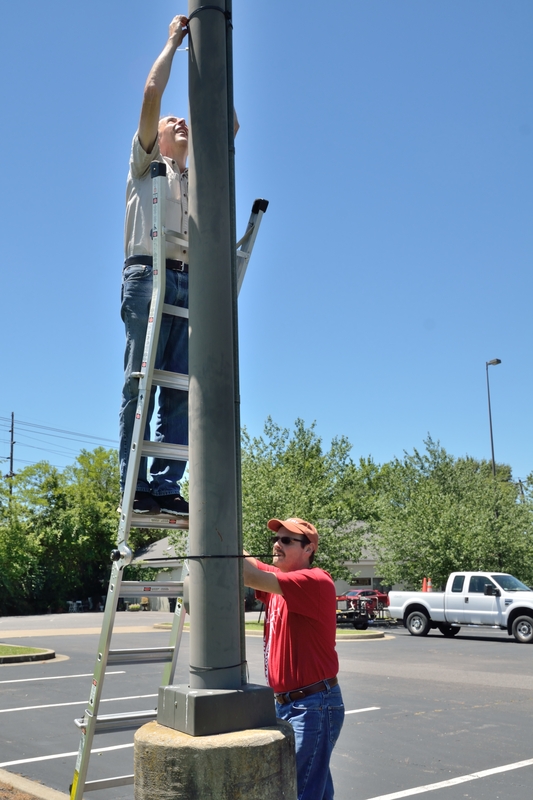 Dave Perry, Ed Pflueger and Fred Nichols set up the CW station. 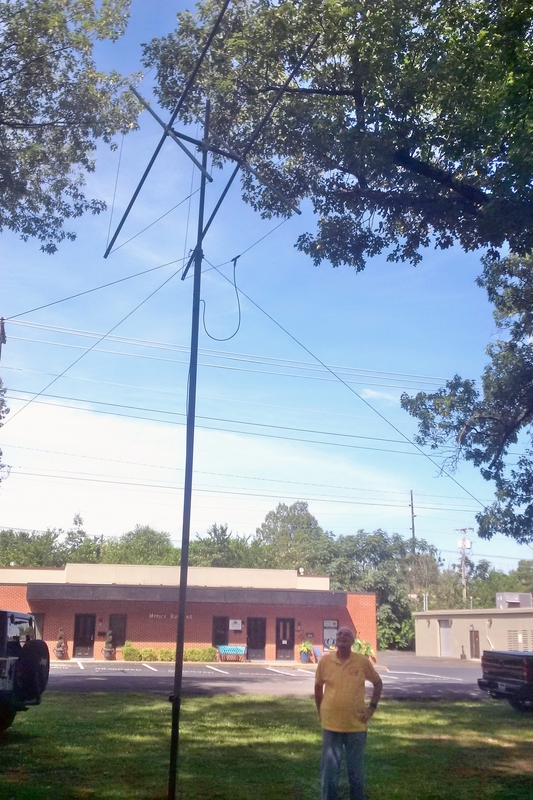 Ron Cowherd admires his 6 meter cubicle quad to be used with VHF station. 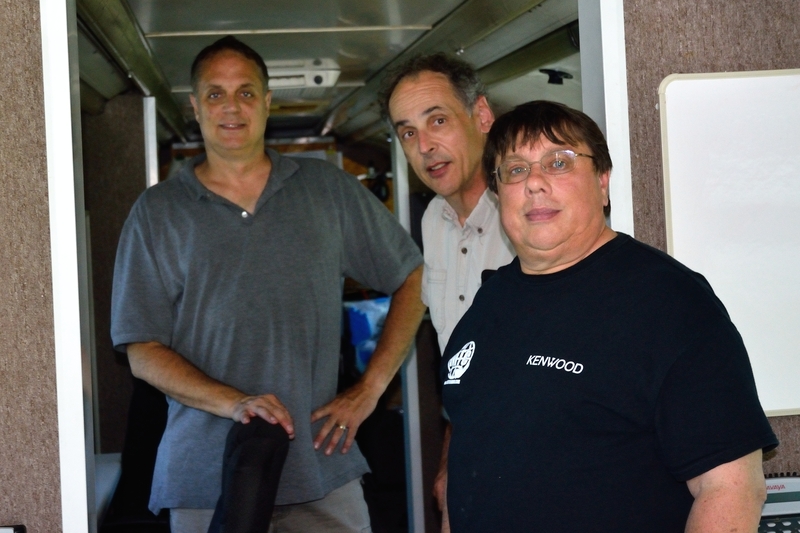 Jeff Wielgos, Mike Newman and Paul Smith where the RTTY and SSB stations were housed in the Emergency Command Center donated by McCracken County Emergency Service. 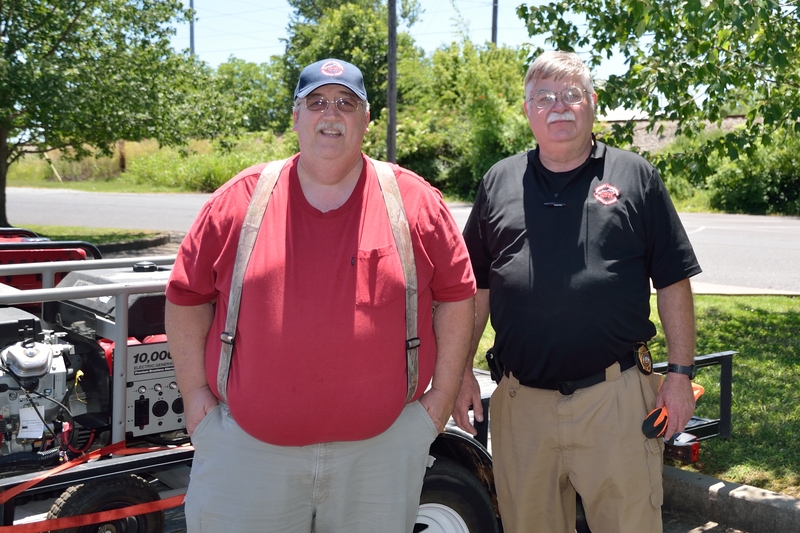 Steve Parmley and Mike Thomasson with the three generators used for the weekend. 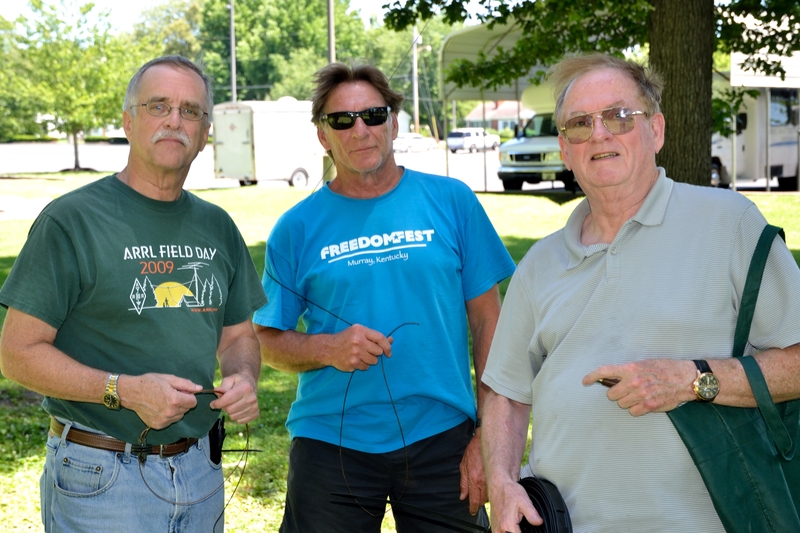 Bruce Huyck, Garry Wheatley and Ken Wontor pause during antenna work. 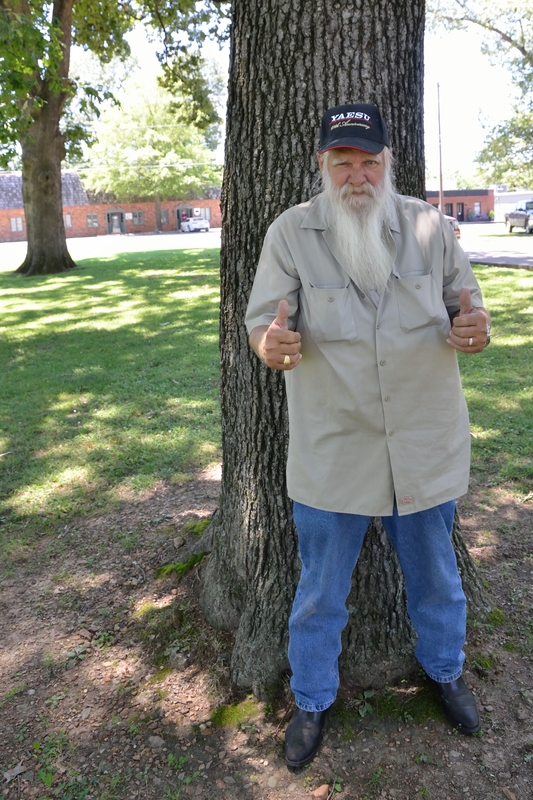 Eddy Sobkowiak gives us a “double thumbs up” to rate the success of 2017 Field Day. I have a number of Field Day 2015 pictures to upload to this web site but don’t know how to do it. I am going to continue to look for some clues on these pages but I would appreciate some info when you have time. Ron I’ve sent you an email on how to get me your photos for the website.